Why study Creative Writing: First Novel? Our Creative Writing: First Novel Master's degree works with a very small cohort. This means you'll receive one-to-one tuition on a far more regular basis compared to many other Creative Writing postgraduate courses. Here, you will be personally guided through the journey of your first draft, rather than being another student at the back of a large class. Teaching is practical and focused on developing the tools needed for the production of a first novel draft. No short stories, no poetry, no screenplay, just your novel. Your novel deserves a tutor that understands all - not just some of its parts - and you deserve a tutor who will coach not just the first draft of your novel, but also the development of your creative process. Our tutors are all published, practising writers. Drawing on our connections with the industry you'll also have seminars with some of the most sought-after agents and publishers in London. When you have finished the degree, you can choose to continue workshopping and drafting with the dedicated cohorts we establish every year. We are passionate about our craft and about your craft too. That's why our first PhD student in Creative Writing struck a major two-book deal with Canongate and sales in multiple foreign territories. Students receive visits from high-profile industry experts from the publishing world. These include talks, Q&As and masterclasses from writers, editors and agents. Recent years have seen visits from representatives of Conville and Walsh, Picador and Gollancz as well as writers such as Christie Watson, Claire Fuller and Lavie Tidhar. We want to hear about your novel – the one you know you have to write. Pick up the phone or email the Programme Director: jonathan.gibbs@stmarys.ac.uk or call 020 8240 4380. A good first degree and 5,000-word sample submission are required for entry. We require 5,000 words prose in the first instance and a synopsis idea for a novel. The tutors will then assess the work and if at the required level will offer an interview. Those who are successful at interview are welcome to then formally apply. The individual journey that you want to take is important and so that we can meet expectations candidates will be selected by interview and primarily on the strength of their work. This is a particularly focused degree and we are looking for candidates who have written in short form but never attempted a novel, or who have written a work of novel-length but want to start again and improve their working practice. Work with a publishing novelist, one-to-one, on producing the first 25,000 words of your novel draft. Writers read novels to learn how they are constructed. This module considers a history of narrative technique, from the novels origins to the present, training you to recognise the internal logic of the novel. This taught seminar examines the techniques of dramatic structure across a range of contemporary writing. By submitting your own work for the assessment of peers and tutors, you will focus on style and technique, concentrating on how to control point of view, and inhabit a protagonist. In this workshop, you will be submitting further chapters of your novel in progress, refining your skill with dramatic structure and exploring the structural possibilities of your novel. Some of our graduates go on to write full-time or apply to PhD programmes. Others work in publishing, teaching, journalism and a wide range of careers. The transferable skills of being able to critically evaluate and articulate ideas as well as the ability to write well are relevant skills for any sector. The course takes you from the exploratory phase of writing through to re-drafting, in five modules, across three semesters and a lecture series. At the beginning of the course, you will be allocated a personal supervisor who will oversee the development of your draft through tutorials. Each module produces a creative element of your draft which will be assessed. In the seminar modules, you will also be assessed by presentation to the group. One-to-one tutorial feedback and support is essential for the writer aiming to complete a productive draft in just one year. In formal assessment, each module will produce a mixture of creative submission to deadline, workshop engagement, critical reflection and seminar presentation. The weight of marking always rests with creative submission and the aim is to complete a draft of a novel through continuous assessment. We run the course on two evenings a week, enabling those with other commitments the opportunity to study with us. You will study individually and as part of a group. The supportive and committed nature of our cohort is important to us, and we seek to put together the best possible people, for the best possible learning experience. Louise's novel, People Like Us, will be published in the UK in hardback, e-book and audiobook in January 2020 and then in paperback in September of the same year. "I would never have considered myself a writer before I embarked on the MA – it is testament to the course, to my peers and to the excellent tutors, that I now do." 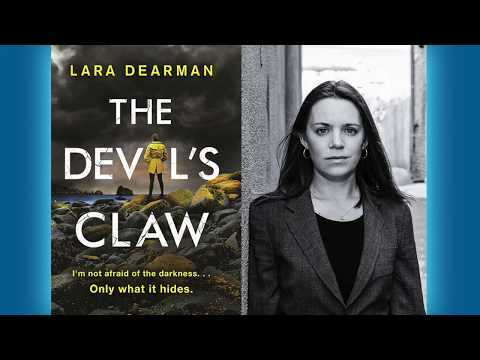 Lara's first novel, The Devil's Claw, was published by Trapeze Books in 2017. The second book in the series, Dark Sky Island, will be published in April 2019. I had been considering a creative writing course for some time, but this was the first one specifically focussed on giving me the feedback and techniques to write my first novel. When I look at my own writing now compared with a year ago before I started, the improvement has been dramatic. There has been an excellent balance between learning how to write more powerful and tighter narrative sentences, combined with how to build structure and plot. The course has offered practical guidance on how to think about getting published. As a group of students, we have learnt so much from constructive feedback, both from our tutors and from each other. I would definitely recommend this course to anyone who wants to turn an idea they have for a novel into reality. The course convenor and other tutors have given their time very willingly to help us develop our skills. All the tutors are published authors with different skill sets and levels of experience and this has been really useful. I selected the Creative Writing First Novel MA as it's specifically designed for those who are attempting to write their first novel. It is a very small cohort of writers, which not only allows us all to get to know each other's work, but also allows for close contact with the tutors. The programme gives an insight into the inner workings of the novel and a greater understanding of the writing process. It's a valuable opportunity to hone your writing skills and gain support and feedback from experienced, established authors and tutors, as well as sharing the writing experience with your peers on the course. The support from tutors and peers was excellent. The intimate cohort of students, along with tutors who are accessible and happy to spend time sharing their years of experience as authors, makes St Mary's different to other universities. Additional costs could be incurred depending on optional modules chosen and other projects undertaken For further information about additional costs please contact jonathan.gibbs@stmarys.ac.uk. Start your application to study Creative Writing: First Novel.